2019 is shaping up to be an excellent year to move to Canada. The government is welcoming new immigrants, unlike some countries we could mention! So why not you? But if you’re coming it would be unwise to stay off the property ladder for long. The average home price has risen from $164,000 in 2000 to nearly $450,000 today! So this week we launch our six-part series on buying a home in Canada. First off, what to think about at the planning stage. Why buy in Canada today? Canada is not only a young country, it is the embodiment of what a modern nation should be. It feels as though Canada has taken the best of all the different places where its people have come from – and one in five of Canada’s 35 million people were born abroad – and created a forward-thinking, friendly, innovative and go-getting nation. They have created this amazing society in the most beautiful, pristine landscape, so big that humans barely scratch its surface, where wolves, bears and mountain lions still roam the wildernesses. Thinking to buy a home in Canada? You’re in luck: the government’s looking at welcoming 360,000+ immigrants in the next year. Permanently relocating or making an investment? 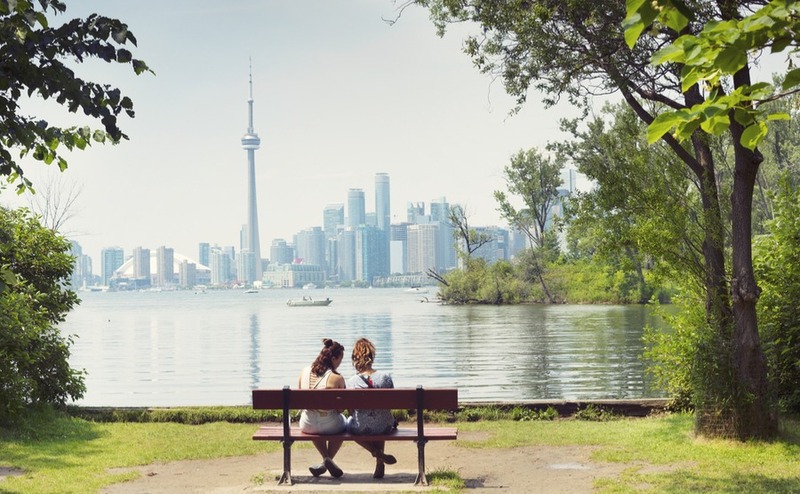 Whether you are going to buy a home in Canada as a permanent relocation or an investment, there is a good case for doing so. For holiday home-buyers, yes it’s a long-ish flight. However, less than nine or ten hours whichever side of the country you’re buying in and there are plenty of flights to choose from, all year. 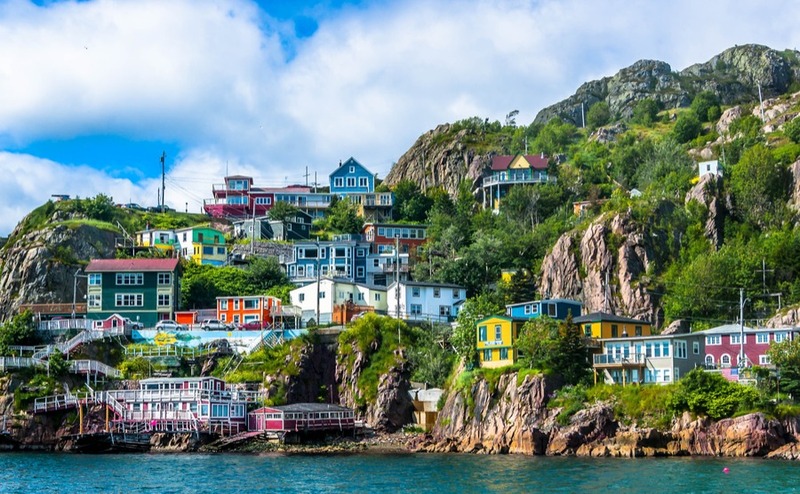 Plus, in most of Canada you get four seasons of fun, with skating and skiing in winter, rushing rivers and the beauty of spring, summers hiking and kayaking, then leaf-peeping in the autumn. No surprise, then, that Canada is one of the most healthy places to live, and what a country to raise a family! For permanent relocators, Canada offers both work and a welcome. It is a country that needs more people to sustain an ageing population and to take advantage of all the natural resources it has, whether in tourism, agriculture, oil and mining or construction. Unlike Australia, for example, which wants mainly medical and the most intellectual professions, Canada has plenty of work for butchers, bakers and builders too. Take a look at the Federal Skilled Trades Program to see where you might work. For investors, you only need look at a map to see the long-term advantages that Canada has. On the border with the world’s richest country, with a Pacific coast and access to Asian markets, and an Atlantic coast too, Canada is ready to trade with the world. It has been made rich in recent years with its commodities – oil, gas, timber, grain, minerals, meat – and can be the bread-basket of the world. But it has technical skills too, plus a thriving film and television industry and huge tourism potential. Above all, it has wonderful houses. The OECD ranks Canadian housing as the second best in the world (after the USA), for quality and affordability. The average new Canadian house is exactly twice as big as the average new-build British house. That means plenty of space if you buy a home in Canada! As soon as you’ve got your visa for Canada, it’s time to start planning your property purchase. Like any big project, it just takes a vision and a succession of small steps that take you closer and close to your goal. But don’t just dive into your property hunt! If you spend time planning in the beginning, you’ll find your search goes much faster, with less time-wasting. In our experience, you need to be able to answer the following five questions when you buy a home in Canada. Brushing up on how to negotiate for your home in Canada could get you much for more your dollar. Read our free guide, How to Negotiate Abroad. 1. What’s behind your dream of moving to Canada? Sit down and think about what it is that makes you want to move to Canada. Understanding your own motivation makes it easier to focus your search. Make sure to think about each aspect. Are you looking for more space? Could it be that your pension will go further in Canada? Maybe you’re looking for a new adventure, or you just don’t want to look back with regret later, thinking ‘what if’. 2. How do you think you’re going to use the property? Now to think about the actual home itself. What sort of lifestyle does it need to let you lead? What isn’t needed? Are you going to be having family visiting a lot, and therefore need to be close to an airport? Or could you take advantage of lower prices further away from public transport? Do you want to be in an apartment building with maintenance taken care of, or to have your detached home with plenty of land? Will you need to be within commuting distance of somewhere specific for work? 3. What is a must-have with your home? With the overall plan for the home in place, think about the nitty-gritty of the property itself. What features are must-haves for you? Do you want, for instance, open-plan? Or would you rather have a more traditional layout? Would you like a terrace, a pool, or a basement? How many bedrooms do you need? Follow these five questions to focus your search when you buy a home in Canada. 4. What do you really not want or need? On the flipside, have a ponder as well about what you really don’t want. It can be quite cathartic! If a pool or large outdoor space would be too much bother to maintain, now is the time to say this. It could be anything from not wanting too many stairs, to being near a pool. 5. What is your realistic budget? There are different ways to raise finance (keep an eye out for the finance section later in our serialisation), but you need to have an idea of your basic budget. Speak to your currency broker about how you’ll get your funds over – remembering that you won’t be able to access the interbank rate that you see on the news. The rate is constantly changing, so we recommend using Smart Currency Exchange. They can help you lock in a fixed exchange rate for twelve months, so that you know exactly what your budget will be (even if the exchange rate suddenly drops). Ready to buy a home in Canada? If you’re buying very soon, don’t wait for the end of the serialisation – simply download the complete guide for free below. 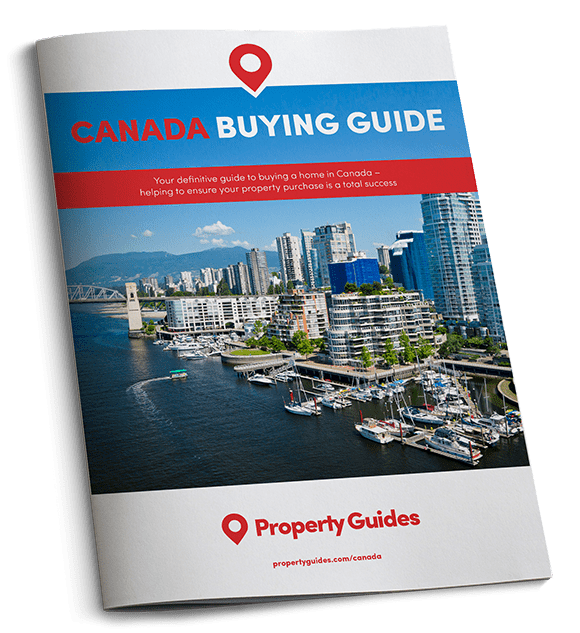 And, if you have any questions about purchasing or life in Canada, give us a ring on 020 7898 0549 or email canada@propertyguides.com.